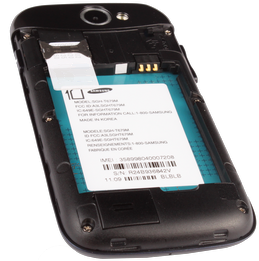 Galaxy W: How to insert or remove the SIM card and battery? 1. Lift the bottom of the battery cover away from the phone using the notch in the centre of the phone's bottom edge. 2. 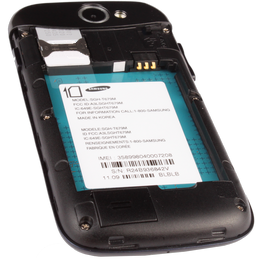 Insert the SIM card with the metal contacts facing down and slide it into the SIM card slot (or slide it out to remove it). 3. Line up the gold contacts on the battery with the contacts on the phone. Insert the top part of the battery first and then push the battery down into place. 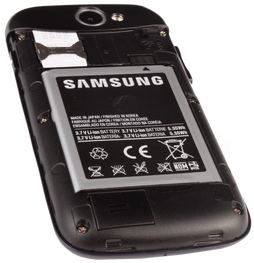 Lift the battery from the bottom to remove it. 4. 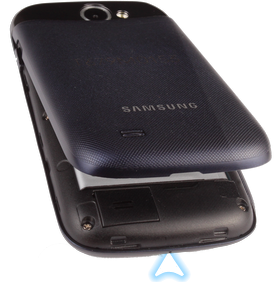 Place the battery cover back over the phone and then push down until it clicks into place. Smart Phone: How to check Signal Strength? 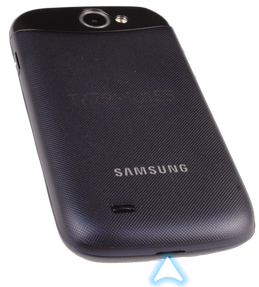 How do I set up Wi-Fi tethering on my Samsung Galaxy device?